Expedia Louli vacation packages can help you save cash! Bundling your reservations will give you more spending money for your epic trip. 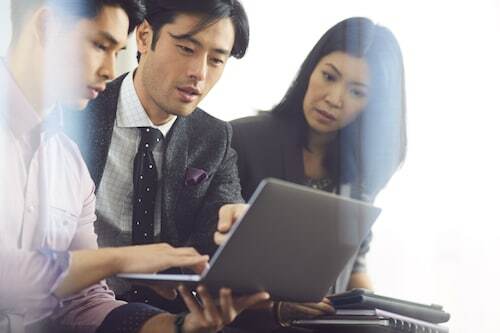 With more than 400 partner airlines and 321,000 properties to select from on our global database, you won't have any difficulty organizing your ideal vacation. If you decide to change your mind, we will honor your cancellation request on nearly all reservations with no hidden fees. Preparing to head off on your Louli vacation? Haven't got a clue what things to include in your travel schedule? Don't worry — we're here to give you a few handy hints. Hiking is a popular pursuit and the perfect excuse to get out and discover more of the wider region. Still have time on your hands? If you're really hoping to make some special vacation memories, throw cycling on your must-do list too. Regrettably, it can be difficult to find accommodations in central Louli. But, if you're happy to go a little further out, there are no less than 11 options. Expedia has luxury getaways and cheap vacations for all travelers. Want to know what our top picks are? Check out the New Century Hotel Taizhou (No.458 Donghuan Avenue) and the S&N Phoenix Comfort Villa (No.77-1, JieFang South Road). Preparing for your trip to Louli? Organized those plane tickets yet? Prepare to be greeted by a crowd of friendly faces at Wenzhou Airport (WNZ). The terminal lies 60 miles (97 km) southwest of the central area. 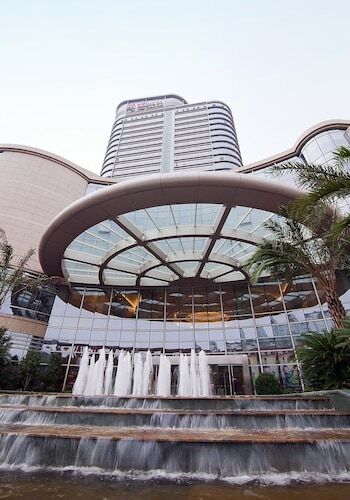 Situated in the business district, this luxury hotel is 1.8 mi (3 km) from Jiufeng Park of Huangyan and within 12 mi (20 km) of Taizhou Stadium and Riverside Park. Kiyonaga Temple is 12.5 mi (20.1 km) away. 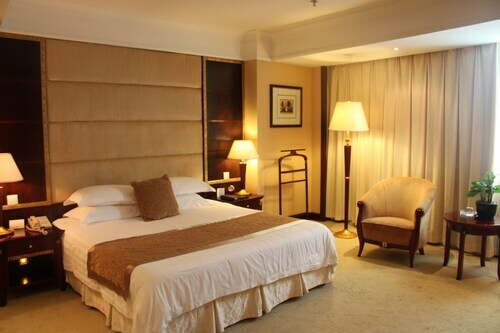 Situated in Taizhou, this luxury hotel is 2 mi (3.3 km) from Jiufeng Park of Huangyan and within 12 mi (20 km) of Taizhou Stadium and Riverside Park. Kiyonaga Temple is 12 mi (19.3 km) away. 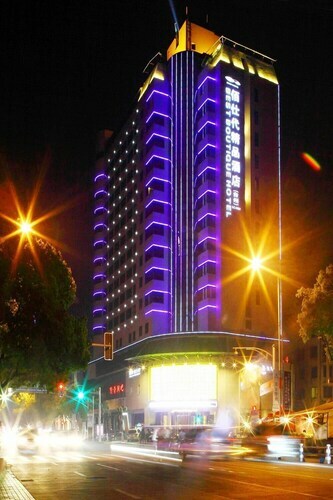 Located in Jiaojiang, this hotel is 1.9 mi (3 km) from Taizhou Stadium and 2.3 mi (3.7 km) from Kiyonaga Temple. Riverside Park and Jiufeng Park of Huangyan are also within 12 mi (20 km). 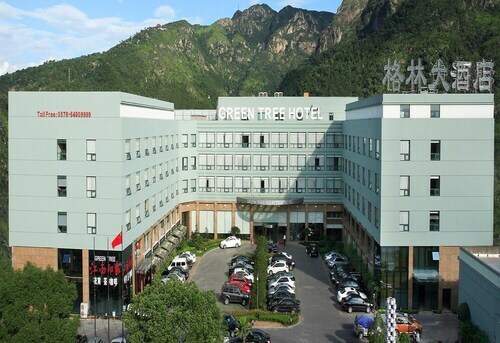 Situated in Taizhou, this hotel is 1 mi (1.7 km) from Jiufeng Park of Huangyan and within 12 mi (20 km) of Taizhou Stadium and Riverside Park. Kiyonaga Temple is 11.9 mi (19.1 km) away. 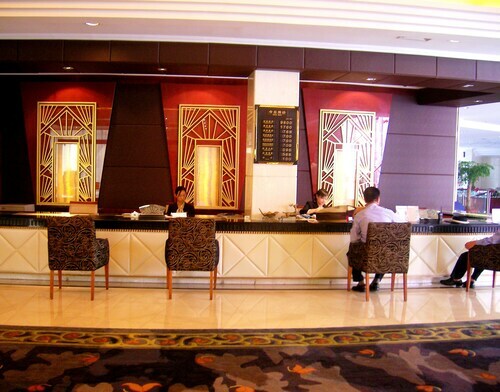 Located in Jiaojiang, this hotel is 0.5 mi (0.8 km) from Kiyonaga Temple and 1.4 mi (2.2 km) from Riverside Park. Taizhou Stadium and Jiufeng Park of Huangyan are also within 12 mi (20 km). Located in Linhai, this hotel is within a 10-minute walk of Niutoushan Reservoir and Temple of Heaven. Linhai Stadium and Linhai Square are also within 12 mi (20 km). Located in Jiaojiang, this boutique hotel is within 1 mi (2 km) of Riverside Park and Kiyonaga Temple. Taizhou Stadium is 3 mi (4.9 km) away. 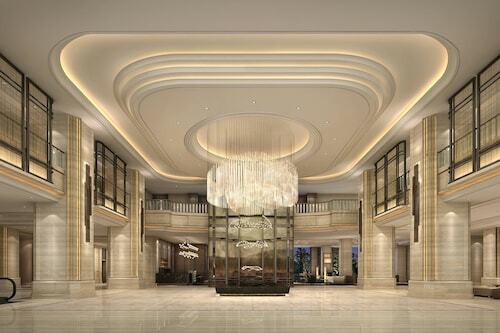 This luxury hotel is located in Taizhou (Luqiao District), where area attractions include Taizhou Stadium. 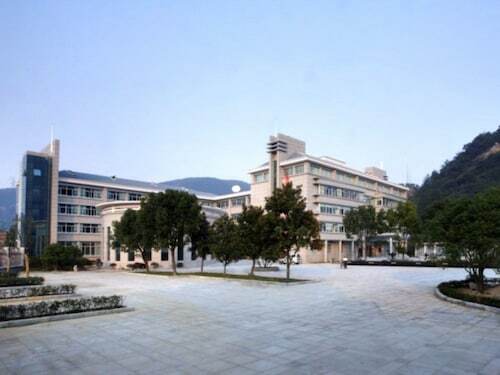 Regional attractions also include Kiyonaga Temple and Jiufeng Park of Huangyan.